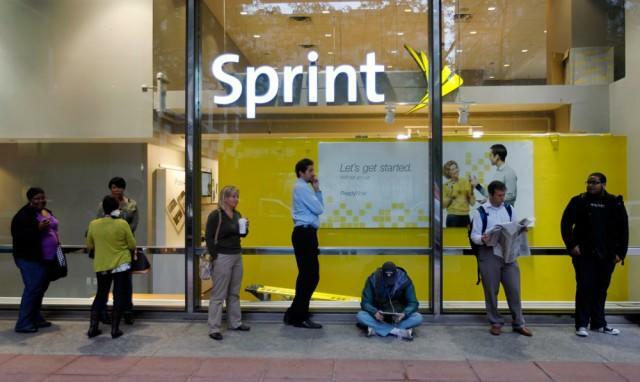 Sprint reported its first quarter 2013 earnings on Wednesday. The company noted an operating income of $29 million, which was a large improvement over the $255 million loss during the same quarter last year. Still, it reported a net loss of $643 million and a loss of $0.21 per share, compared to a net loss of $863 million in Q1 2012 on a loss of $0.29 per share. It also lost 560,000 customers during the quarter. iPhone sales dropped down to around 1.5 million units sold—Sprint simply said sales “exceeded” that figure—during the quarter from the 2.2 million units the carrier sold during Q4 2013. That might not seem like a huge deal except that Sprint made a huge $15.5 billion bet on the iPhone when it began carrying the device. Sprint sold 5 million smartphones in total. Sprint also said that revenue from its wireless services hit $7.1 billion for the quarter, the highest the company has ever reported and a 9 percent bump over the same time last year. Smartphones are becoming an ever-increasing importance to Sprint, too. The company said that 86 percent of its quarterly postpaid handset sales were for smartphones. Sprint CEO Dan Hesse said 2013 is a transformative year for the company and that he believes his first quarter figures already represent a good start.